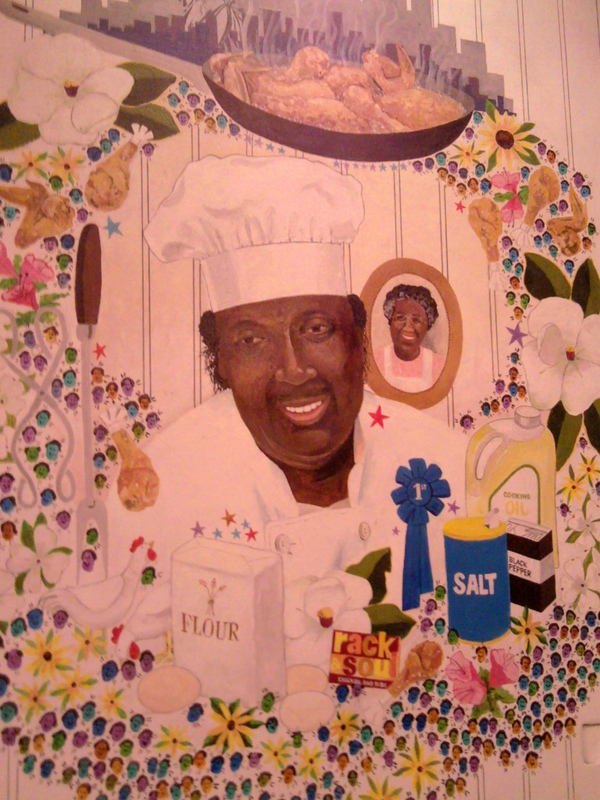 Rack and Soul, a must for any soul food junkie! 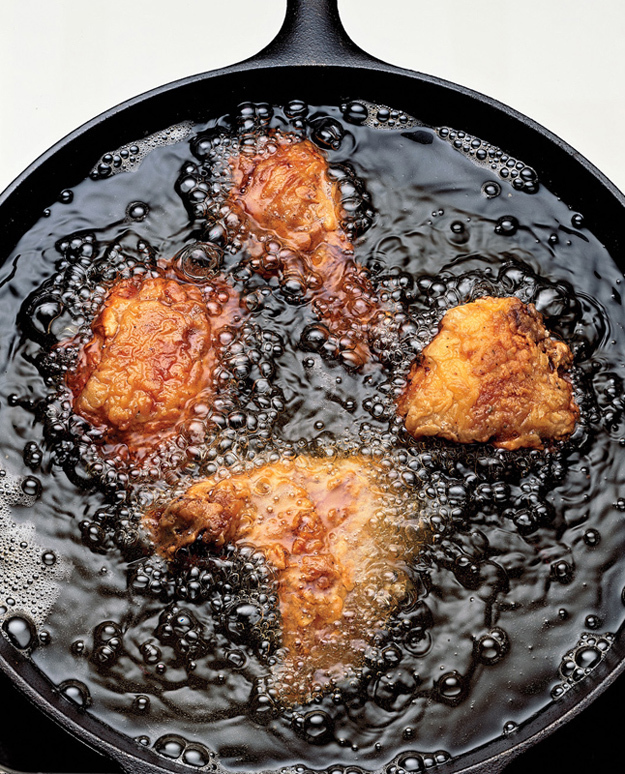 In the past few years New Yorker’s have been showering some love on one of the most soul satisfying American meals to ever grace a plate, fried chicken. Top ten lists, numerous articles and an event dedicated to the worship of the perfect bird at the New York Wine and Food Festival have catapulted fried chicken from take out only status to hipster chic joints and elegant dining menus in NYC. Does this make me happy? Damn straight it does! 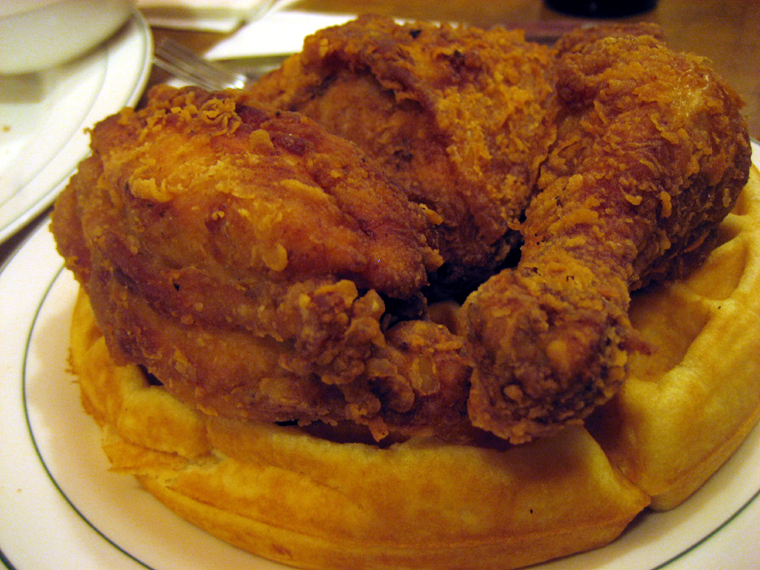 I love fried chicken, complete with all the fixin’s. I’d visited most of the trendy spots but somehow never tried Charles Country Pan Fried Chicken, the most noteworthy of all on every list. Charles’s chicken sounded divine, made in a cast iron skillet, in the old-fashioned method practiced by granny’s throughout the South. It was on my list of must visits! 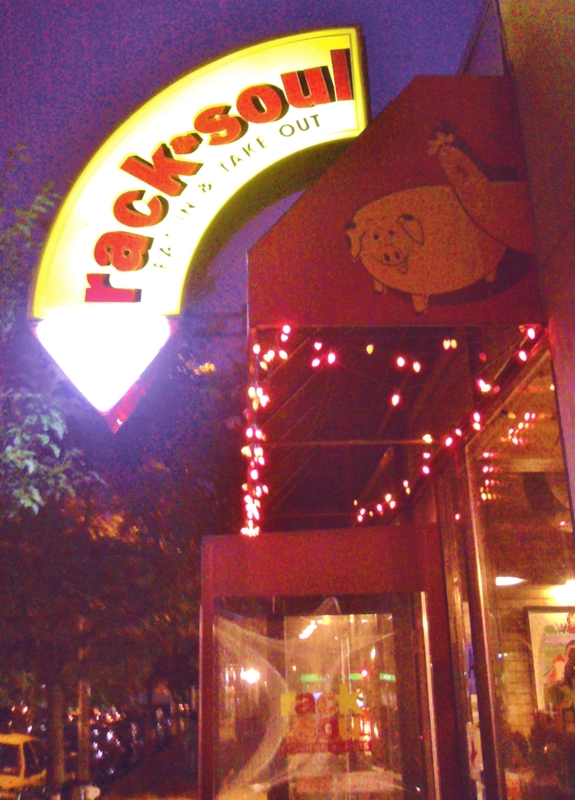 Recently I read about Rack and Soul, the West Harlem outpost designed by the man behind Charles Chicken, legendary soul food chef Charles Gabriel and BBQ pit master Big John Wheeler of Natural Born Grillers fame. What’s not to like, fried chicken and Mississippi BBQ? I couldn’t wait to check it out! Making a plan with my BBQ loving friend Karen we decided to visit for dinner last weekend. From the street a glowing arrow adorned with a pig and chicken beckoned us in to find a homey bar room smattered with rough wood tables and an enormous stacked pile of cherry and applewood used for in-house smoking. As we perused the menu mouth-watering aromas of down home goodness wafted past us on trays piled high with pulled pork, waffles, fried chicken and slathering sauces. We ordered a starter of crawfish tails and cold beer while we decided on our main meal. Checking out the rest of the room I noticed paintings of both chefs and their stories on the wall behind us. As I snapped a few pictures chef Charles himself appeared to greet Karen and I and chat a bit about Rack and Soul. 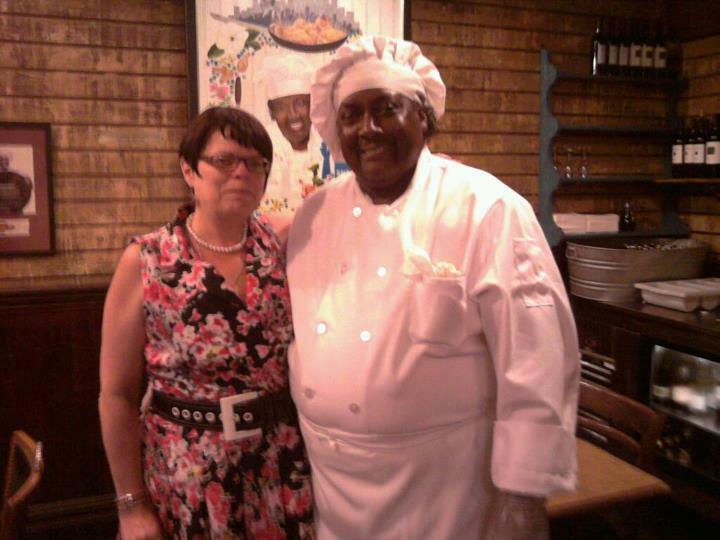 Surprised to see chef Charles I asked him how often he manned the kitchen at Rack and Soul. Charles explained he works Monday to Friday in his uptown location and the remainder of the week at Rack and Soul to make sure his recipes and vision are being followed to the letter. Charles, one of the nicest and most gracious chefs I’ve met is also one of the hardest working men I’ve ever run across. Averaging four hours of sleep each night, he makes it into Charles’ Country Pan-Fried Chicken at around 11:00 a.m., begins service at noon, makes a midday trip to procure supplies and works out of his Harlem base until closing time. By midnight Charles is preparing food for the next day’s service. He usually makes it to bed by sunrise. As we ordered dinner Charles explained the method behind his famous recipe. Triple spice marinade (a secret spice blend used as a rub, in egg wash and in flour dredge), soy bean oil and skillet frying at a constant temperature. My chicken arrived perfectly cooked and regally placed on top of a golden browned waffle. From the first bite I was hooked! 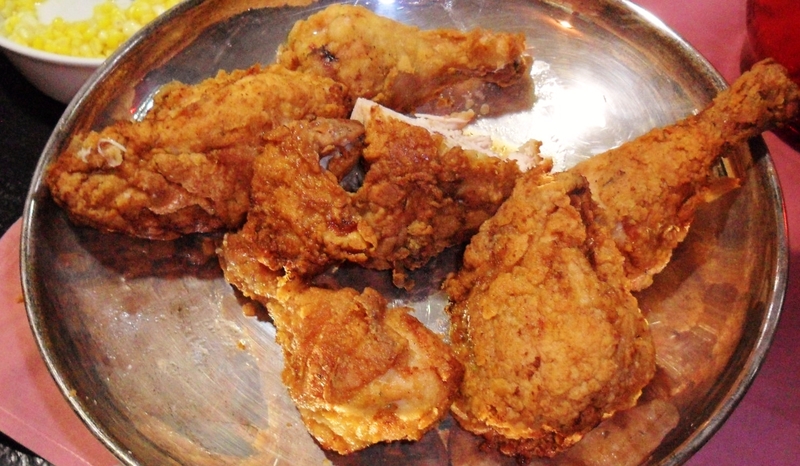 I truly needed to take a shot at making my own version of this crispy on the outside, juicy on the inside, lip smacking good chicken. Karen’s ribs where also great but we both commented that unlike other spots we loved ALL the sides. The mac and cheese was perfectly creamy with bits of crunchy browned cheese, the baked beans flavors sang with shredded pork and jalapeño, a potato salad with a pickled flavor was delish and coleslaw so good we had 2 orders. A home run on all fronts for Rack and Soul! We will be back! With a bit of planning and research I decided to try my hand at my version of Charles chicken, complete with wine to pair with my feast. Although a cold frosty beer was great to wash down our food with I longed for a crisp, acidic wine full of ripe tree fruit and citrus flavors to pair with the spicy, salty flavors. My first choice for pairing was a Zahen Gemischter Satz Sekt– a fieldblend of Pinot Blanc, Pinot Gris Chardonnay and Traminer from the famous Viennese Nussberg. Made à la Méthode Traditionnelle with a second fermentation in the bottle. Exotic fruit, elegant taste, slightly spicy, good minerality and a long finish. One of the most unusual sparkling wine experiences I’ve had! Delicious! The bubbles and sharp fruit flavors cut through the richness of the meal while standing up to the savory flavors. Available at 67 wines online. My second choice a Lingerfeld Scheurebe Halbotrocken, Grosskarlbacher, Burgweg, 2007 was also a fabulous pairing! Brought up from my cellar it was still showing fresh fruit, bright flavors and aromas of pink grapefruit, pear and red currant. It held up against both the spicy and savory flavors of my Southern feast. 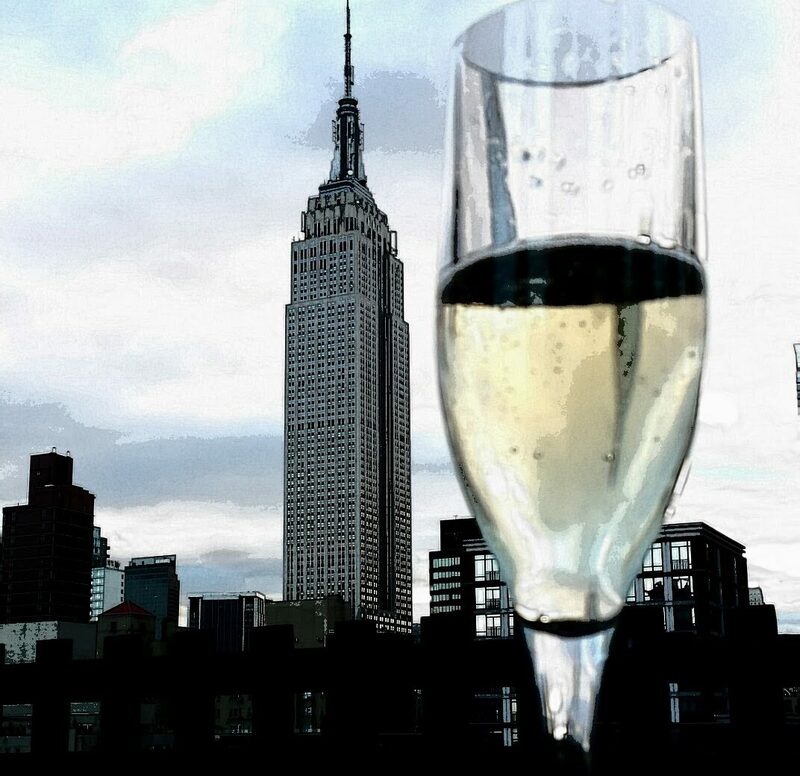 We started with the bubbly and ended with the Scheurebe. Considering my love of German and Austrian wines both wines fed my soul as the perfect pairing. Available at MidValley Wines online. Mix beaten egg with buttermilk and 1 tablespoon of spice mixture, coat chicken well with mixture and refrigerate for another hour. 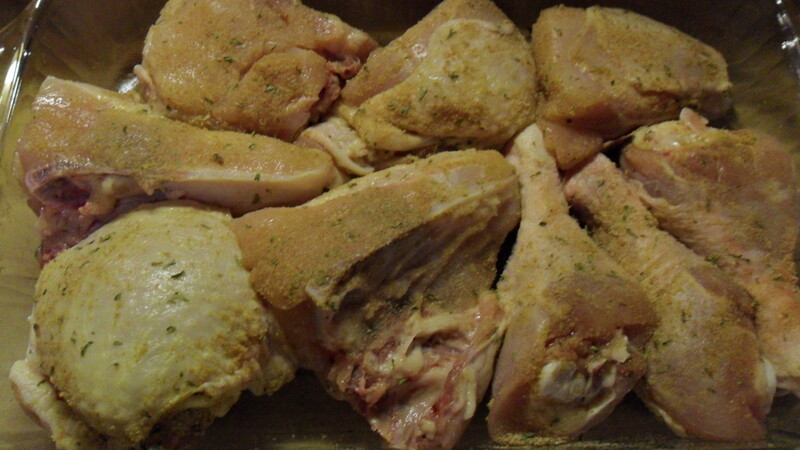 Take chicken out of fridge and allow to come to room temp. Mix flour with remaining spice mix and dredge pieces separately coating well. Put pieces on baking rack while heating oil to 375 degrees in skillet. 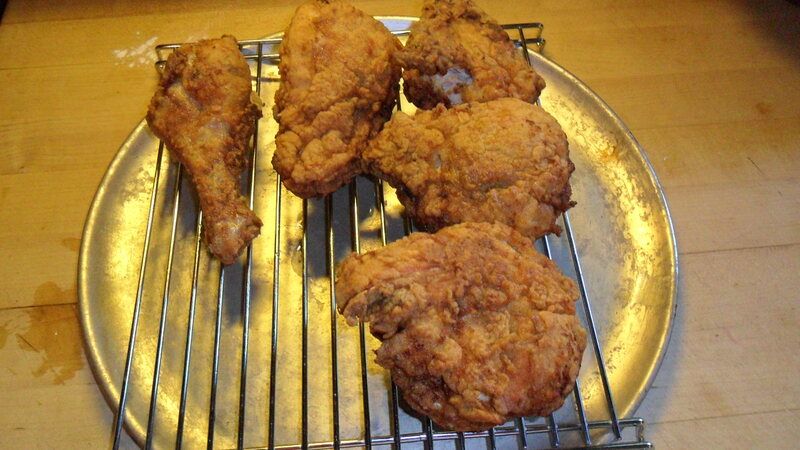 Gently drop chicken in hot oil , 4 pieces at a time and fry for 8-10 minutes each side. I turn a few times while frying to achieve golden color. put cooked pieces on rack over metal pan and heat for an additional 20 minutes in preheated oven at 275 degrees. 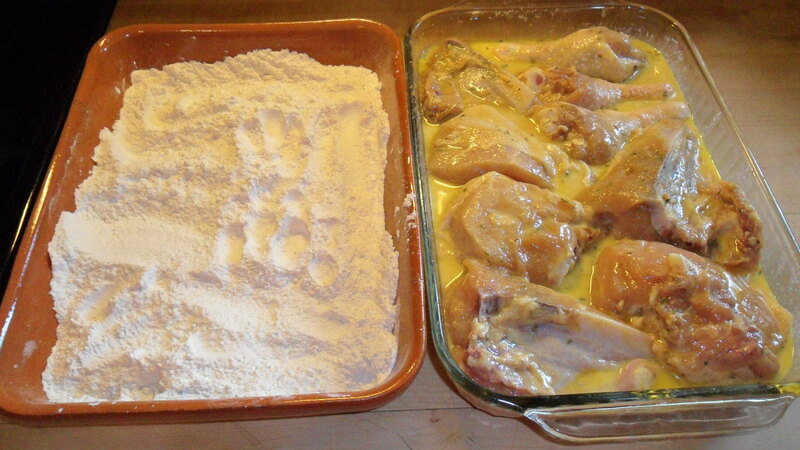 Take chicken out of oven and check breast to make sure it’s done all the way. If still pink heat for an additional 10 minutes or so. Serve and enjoy with your choice of sides! I made baked beans, potato salad and deviled eggs but you can sub your favorites. Thanks Jim! Hope you like it. Charles really has the best I’ve ever tasted. Charles inspired me to create this. I hope you enjoy it as much as I do!